When the Greek shipping tycoon Stavros Niarchos was alive, he commissioned this yacht as a replacement for one he gave to Saudi Arabia’s King Fahd. 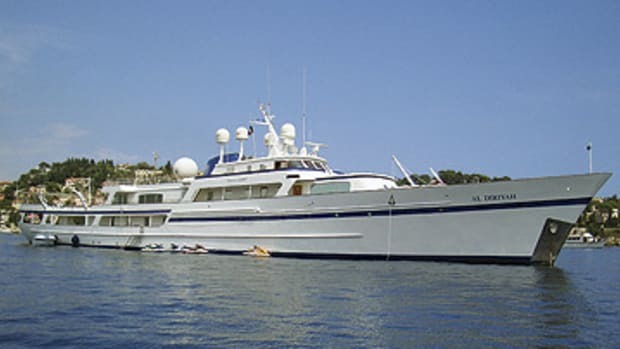 Atlantis II remains in the hands of the Niarchos family and is nearly always tied stern-to in Monaco’s Port Hercule. 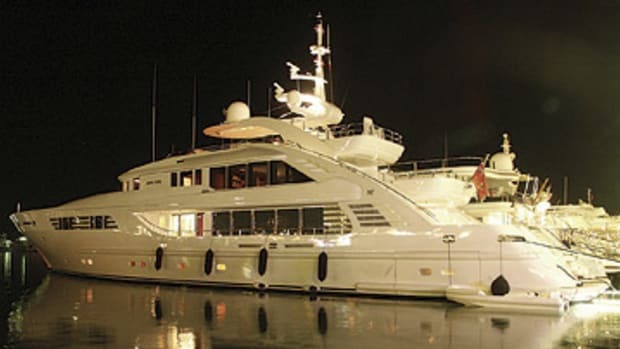 She did leave the marina briefly in May, however, in the days prior to the Monaco Grand Prix and headed to Barcelona.